The Pro’s (and woes!) of becoming a Mobile D.J! So how do you become a Mobile D.J?, easy!, just call yourself one!. There are no diploma’s or qualifications and no graduation ceremony. However the time may come where you are called upon to demonstrate your D.J’ing skills and often this will be in front of 100’s of people at your first gig. Entertaining such a a large number of people can be a very daunting and nerve racking task. Mobile D.J’ing is different to club or radio D.J’ing. Just spending a fortune on the very latest equipment and latest chart music won’t make you a successful D.J or get you re-booked. Being a Mobile D.J is also about being an entertainer, rather then just being a Jukebox surrounded by lots of pretty lights!. You will also have to play a lot of music genres which you may not otherwise choose to listen to by choice. A successful D.J is one who plays to his or her Audience, who can break the ice at difficult functions and who isn’t out to satisfy their own ego’s. Most D.J’s learn to “read” the audience, and are frequently watching the dancefloor to gauge what music will work next. At Mobile Functions such as Weddings, your audience may take some time to get onto the dancefloor and this is where Microphone work is important in order to break the ice, make your audience feel welcome and encourage them onto the dancefloor. Where and how can I learn D.J skills and get advice? Some people simply may not be cut out to D.J. Others may pick up the skills in a few months, others may take a year or longer. There is no hard or fast rule to learning the basics. The best, and often the most successful route to becoming a D.J is by helping another D.J at weekends. Consider volunteering your services to another D.J locally. Helping out as a “Roadie” may not be financially rewarding but you are essentially learning new skills for free, which would cost you £100’s on a course. Most D.J’s will often cover your expenses and refreshments, some may even pay you, in return for your help, but don’t expect to live off it, after all they are doing you a favour by teaching you a trade, and sharing their knowledge. Learning to D.J by becoming a Roadie is the fastest way to learn the business and by actually watching another Professional D.J at work can teach you more than in a classroom or College environment. Most D.J’s themselves got into the business this way, so don’t be afraid to ask. What music will I need? This is entirely dependant on the type of functions which you are attending. Most Mobile DJ’s will set themselves up to cover all types of functions from Childrens’ Parties to 75th Wedding Anniversaries, and this means playing music to all age groups. Ideally you will need to invest in virtually all types of Genres. Rock & Roll, 1960’s, 1970’s, Disco, Funk, Soul, Motown, 1980’s, 1990’s as well as the latest chart and club dance music. If you are setting yourself up as a specialist DJ, offering services for one age group or type of function, then this will be a lot easier to fund and build a music collection. However you may wish to gauge the demand for that type of music and DJ in your area. Again it’s not the equipment which entertains, it’s the D.J. By having the latest equipment it won’t make you any better as a D.J. It is possible to start up on a budget of £1000, which will get you a sound system and a few lighting effects. If your budget won’t stretch to this, then you may need to consider buying 2nd hand or hiring the equipment. More information on choosing equipment is covered on another article. 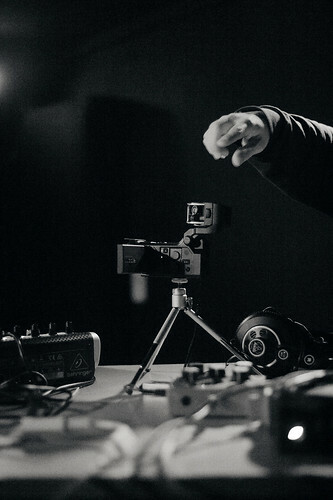 Any good reason to start off by helping another D.J, is that you gain the experience and also find out if D.J’ing suits you BEFORE spending a lot of money and committment on buying equipment. Buying a comprehensive music library is far more important than how much lighting you have, and should be your first consideration. You can build up your lighting, and upgrade your sound system (if required) once the work starts coming in to justify it. Committment, dedication and enthusiasm is a must. As is patience and a good sense of humour. By definition, most Mobile D.J’s work the weekends, so if you get a good reputation and a full diary, you may have to cut down on your own personal social activities, and this can also put a strain on relationships, so make sure your partner / spouse is also agreeable!. From a professional prospective, you should also obtain some level of PLI (Public Liability Insurance), as a business within the UK it is a requirement to have some minimum level of insurance cover in order to protect you in the event of causing harm to a third party through accident or neglect. The amount of PLI cover required varies from £2 million to £10 million. You may find that £2 Million cover is adequate for your area, although some hotel chains may insist on a minimum of £5 million to work at their venues. You may be asked to produce evidence of your PLI cover before being allowed to set up in some Hotels, and Council run establishments, so it is wise to get cover sooner, rather than later. How about a D.J Course or Workshop? These are few and far between especially in the UK, and usually aimed at teaching you beatmixing or turntable skills, which are of little use to the Novice Mobile D.J. If you are aiming for club work, then you may find a course to be of interest, however these courses have limited use on the Mobile Circuit. D.J courses can cost between £100 and £1000s ($100 – $3000). Like any industry there are risks, so it is important to find out exactly what the course involves and whether the information is of any value to you before parting with your money!. Some courses may of little use, others may teach you the basics find out exactly what each one offers and weigh up the benefits to you. If you are still in education and want to find a list of official College / University courses on further education opportunities in media, radio, stage and technical then ask at your High School for further information.